If you’re considering getting a divorce, then your mind perhaps has already drifted to alimony. Alimony conjures up feelings of discomfort, anxiety, and financial woes. As divorce lawyers at Lopez & Wilmert, we understand the stress of worrying about all of the factors that go into getting divorced. Not only do you have to consider dividing up all of your assets together, but you need to think about alimony and child support. At our law firm, we’re able to help you through each of these facets. Our focus areas are in divorce, custody, child support, move-away orders, and paternity. We make figuring out your future after your divorce simple when you decide on Lopez & Wilmert. Alimony is when you either receive or pay money to your ex-spouse. 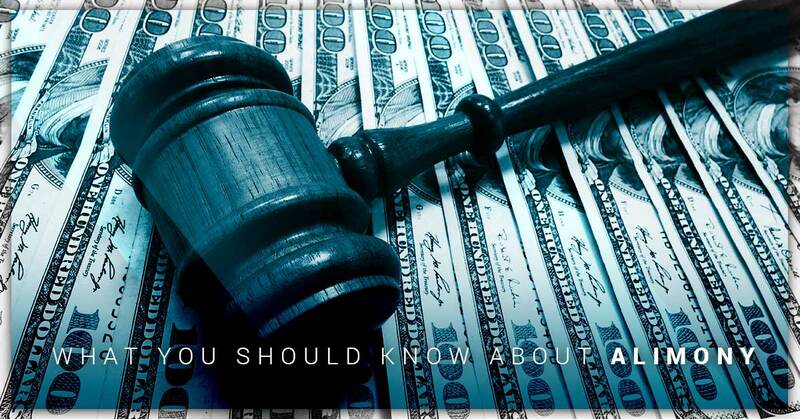 Alimony isn’t just a husband making court-ordered payments to a wife after a divorce. A wife can also be the one to make payments to a husband as well. Basically, alimony is supporting and maintaining your spouse financially. There are many different factors that go into alimony payments, which is what we’re going to touch upon below. Alimony doesn’t have to be a negative experience for the person who is financially supporting the other. There are many different factors to know about alimony and we’re going to dive into them today. We know that alimony may make you cringe internally, but making payments to your spouse help to create a feeling of peace once the marriage is over. Additionally, it benefits both ex-spouses when you learn how to reap the rewards of alimony. The first thing you need to know about alimony is that it’s not child support. Alimony and child support are two different things and should be treated as such. When you make a payment for alimony it’s going right to your spouse, not your children. When you begin to give or take alimony, it’s important that you learn how it functions in the state of California. Take some time to learn how alimony is determined and how it can be terminated. In some states, alimony is determined by the statute or the formula that helps to define the amount and the duration alimony is to be awarded to the spouse. In other states, alimony is determined without any actual parameters and is based on the needs of the recipient and the amount the payer is willing to comfortably provide financially. You can take the time to ask your divorce lawyer about the process of alimony in the state of California, so you know what you need to about making payments or receiving them. Another factor to consider is that the payer and the recipient of the alimony are unable to live under the same roof. Some couples after a divorce decide they can continue to live under the same roof; however, if this is the case, then you’re unable to pay or receive alimony. To learn more about alimony, take the time to continue reading our blog.